This summer, the Museum of Modern Art in New York opened the Century of the Child: Growing by Design 1900-2000 exhibition. 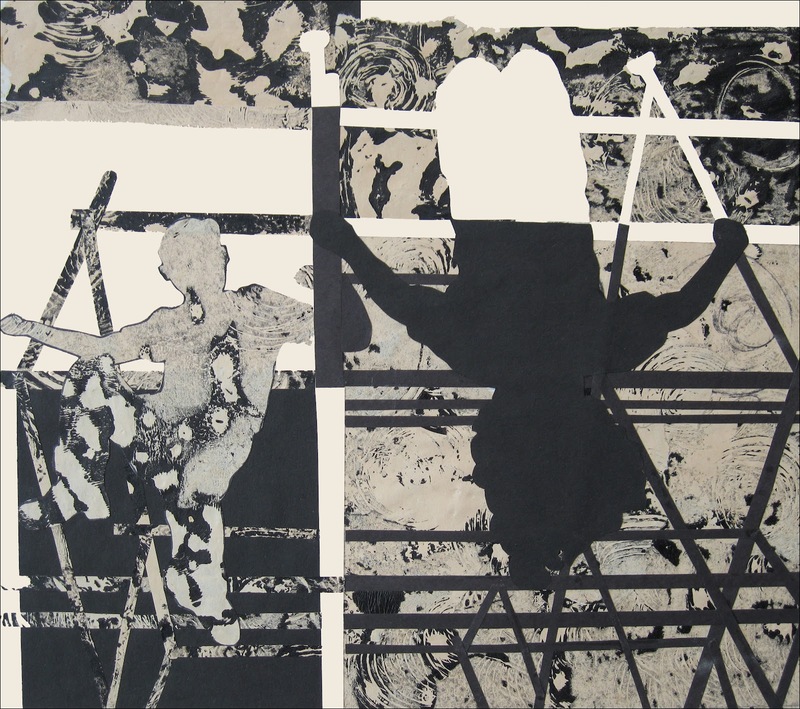 The inspiration for this show was taken from Swedish designer and social theorist Ellen Key’s book, Century of the Child, published in 1900. 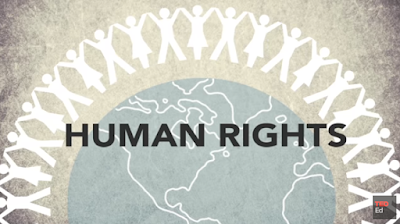 Key saw the 20th century as a period of progressive thinking about the rights, development, and well-being of children as important to nurture in society. As we get deeper into the 21st century, some of the same issues raised at the beginning of the last century are emerging today, particularly in the area of education. The exhibition examines “the material world of children from utopian dreams as citizens of the future to the dark realities of political conflict and exploitation.” Sound familiar? During the last century, modern architects and designers preoccupied themselves with childhood, including school architecture, clothing, playgrounds, toys, games, and a lot more. 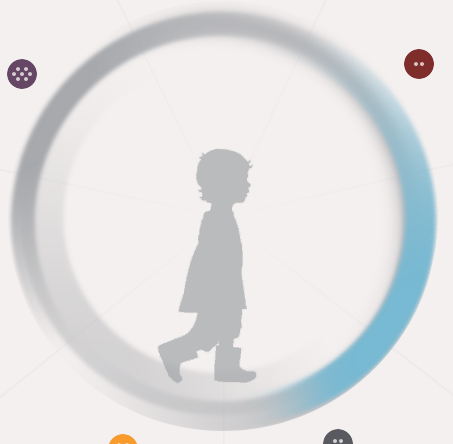 MoMA produced a wonderful interactive website to go along with this exhibit. The timeline walks the visitor through the objects on display by period, complete with detailed information and related works. The exhibition starts at the turn of the last century when the kindergarten movement emerged. The "children's garden" was to be a place that valued a child’s enjoyment, creative process, and intuitive investigation of materials. This is not what many kindergartens look like today. Too often they are worksheet driven in preparation for testing. 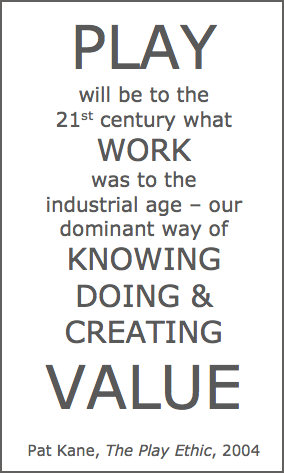 Ironically, the timeline ends with the quote by Pat Kane from his book The Play Ethic, featured here, on how play will be our dominant way of knowing, doing, and creating value. Perhaps we should send legislators and government officials on a field trip to this exhibition. Historically, the notion of what’s best for children changed as events of the world and advancements in technology evolved. Similarly, the preoccupation with the best way to educate children is going through the same process today. Perhaps it’s because we’ve lost the focus on creativity and play in the classroom. For more than a decade, NCLB has pushed education into mediocrity, opting for a homogenized system to pass tests. We’ve taken the play out of learning, and as a result, children have disengaged in a flawed process to the tune of over a 35% dropout rate. Today, free play to learn how to socialize, invent, and imagine is rare; instead, child's play is organized. Add in diminished recess, limited physical education, and worksheet-driven classrooms and we have a recipe for unimaginative kids who lack a passion for learning. It is no wonder that we have trouble getting kids to think creatively. If they can’t play, they can’t learn and certainly not innovate. This is Tony Wagner’s point in his most recent book, Creating Innovators: The Making of Young People Who Will Change the World. Innovation is interdisciplinary. We need to promote play, passion and purpose for it and break free of fixed silos of learning. Creating innovators is not part of mainstream, conventional education that is too focused on measuring assessments through one-right answer tests. Likewise, the Common Core with all its good intentions still forces the same evaluation of student performance and now teachers, too. Like the modernist of the last century, we should see this as a push for progressive design thinking and advocate for the value of play, creativity, and design as intrinsic parts of student learning. The emergence of design thinking into the pedagogical milieu of educators toward long-range solutions is growing. If we combine this with a reformed and integrated approach to learning, doing, and making things, there’s no telling what could grow out of it. Interestingly enough, the Century of the Child exhibition began with how “…the new pedagogy [kindergarten] prized authentic expression, the inspiration of the natural world, and the creative potential of every individual, every child.” Isn’t that what we want today? We think yes. 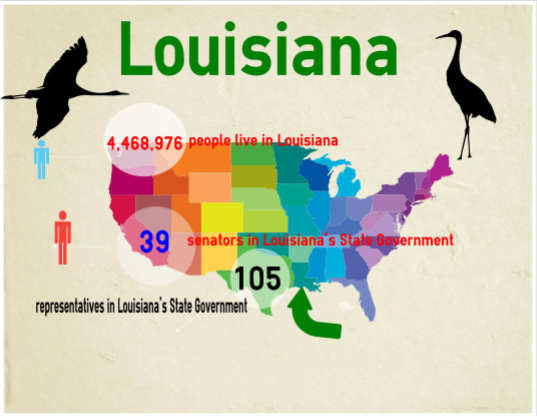 Over the past year, we integrated the use of infographics into our lessons as part of our mission to teach our students about information design and the skills of graphicacy. They viewed different types, from current events to holidays. 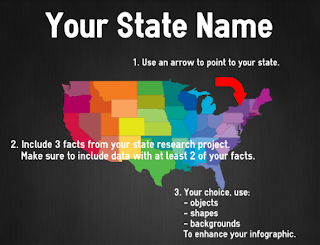 It was easy to find infographics for just about any topic, but it wasn’t always so easy to find the tools for our students to design and create their own. That is, until Easel.ly was released this spring. We decided to test Easel.ly with our students in the fourth and eighth grades, setting certain parameters for them to follow. We wanted to see just how "easy" it was to use. At each grade level the students took the content from their social studies classes as the information they needed. Our 4th graders used their state project research, and the 8th graders made time period infographics to review for final exams. 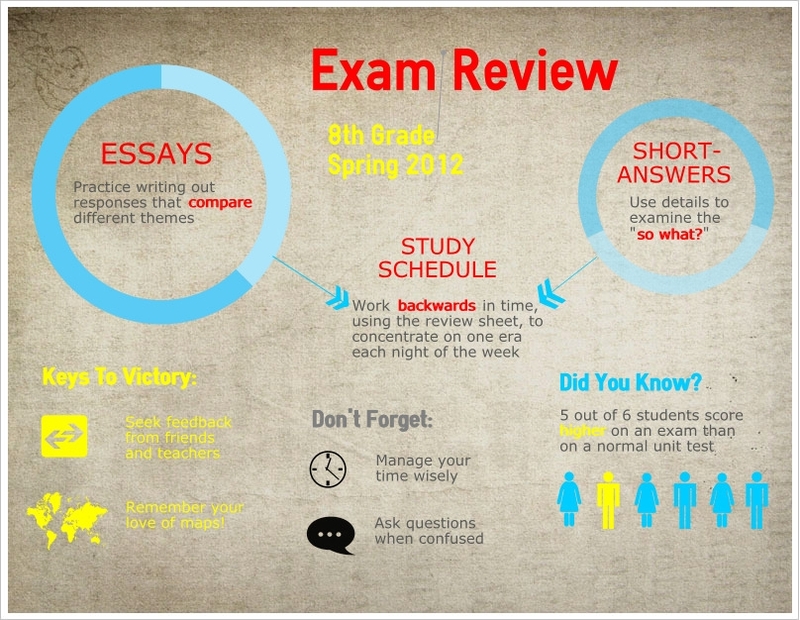 The goal for each grade level was to complete an infographic in one class period using Easel.ly. This included learning how to use features such as objects, shapes, text and color. 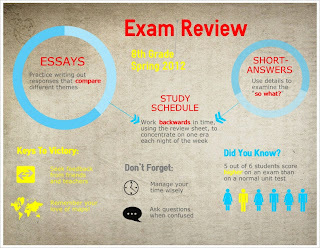 The only instruction given to each class was a sample infographic of what needed to be included. It was no surprise that our tech savvy, born digitals went straight to town and exceeded our expectations. While some of these infographics may not be completely polished, our students mastered the functionality with ease, demonstrating the key components of words, pictures and numbers. 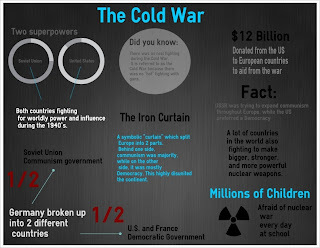 Needless to say, considering the limitations imposed by time, these basic infographics created in a 40-minute period met the requirements, and some were quite impressive. Although the infographics designed by the fourth-grade students appear simple, the eighth-grade examples demonstrated a higher level of sophistication. We can only imagine what these fourth graders will design by the time they reach the eighth grade given enough practice. The availability of other applications continues to grow, and these resources are listed on our infographics page. Infogr.am is similar to Easel.ly, while some require software downloads, such as Tableau Public. Others like Vennage are fee-based. 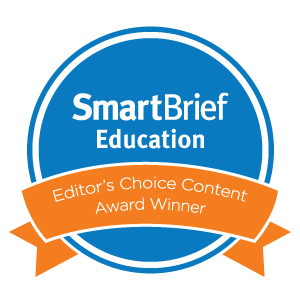 Regardless of which application you use, these tools allow for flexibility in creating instructional material, provide an opportunity to design content, and offer a host of choices for both teachers and students on the delivery of visual information. With their widespread use today, particularly as media for advertising, it is even more important that they become commonplace in classroom instruction. 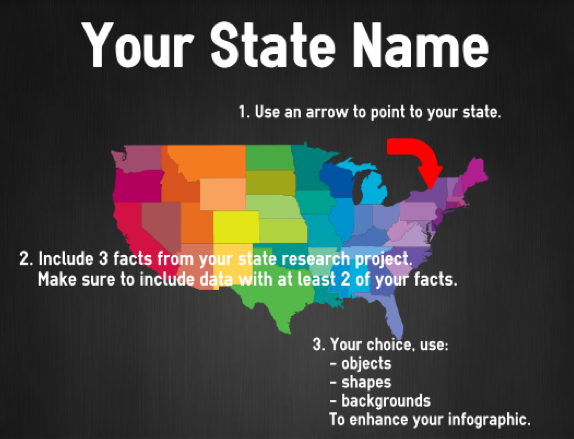 Please see our other posts about the state of infographics in education, using apps in 1:1 programs to make them, and creating personal infographics to teach the components of their design. September is the schoolest month. After a summer of distractions, we reenter the merry hubbub of kids and classes, parents and planning. This fall, we'll be armed with a fresh arsenal from our trusty PLN and our beach daydreams. 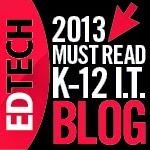 Our ongoing emphasis will be the value of illustrative lessons and design-based investigations. Using one's visual imagination to approach educational problems (whether historical, literary, mathematical, or scientific) can yield tremendous dividends in student collaboration and engagement. 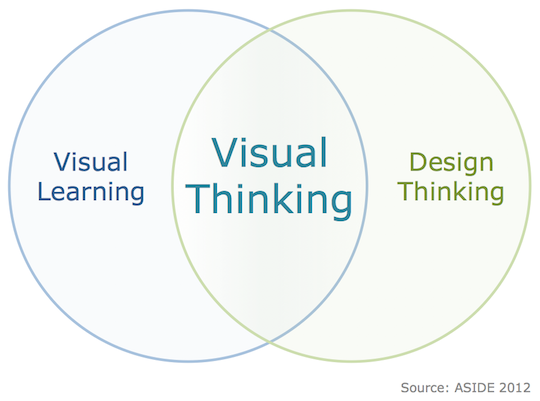 A captivating video, entitled "Visual Thinking: Writing With Pictures," lays out the value in honing one's optical acuity. At its base, this absorbing piece from the Sean Kelly Studio asks whether our teaching relies too heavily on words. It claims that "creativity is about finding connections and learning to see those connections." This form of inspirational, image-based instruction helps transform the "complex into the clear." Visual Thinking: Writing With Pictures from Sean Kelly on Vimeo. Kelly's crisp words and "eye" icons remind us that text and visual pairings can inspire keen connections in the learning process. 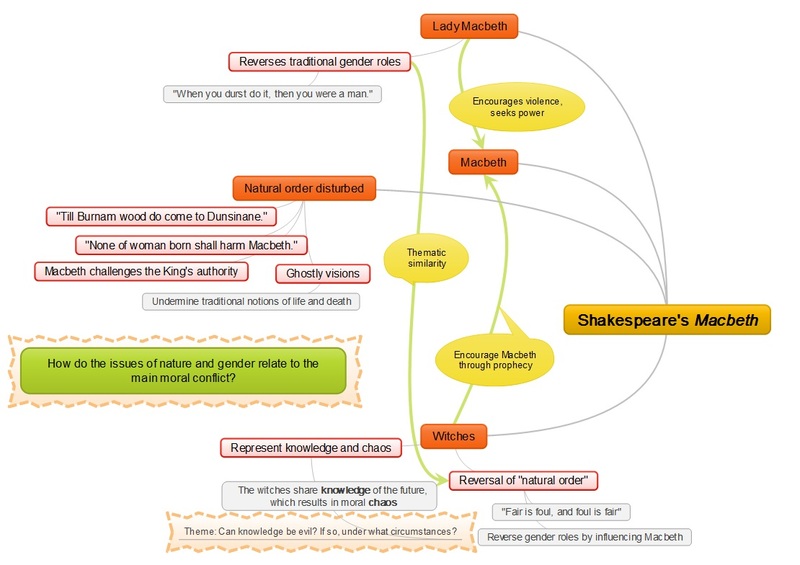 A write-up from Katie Lepi at Edudemic about "3 Ways Mind Mapping Can Be Used To Enhance Learning" reinforces this partnership between visual and textual explorations. 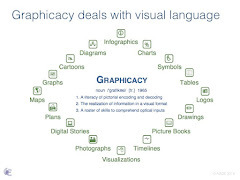 The article promotes the MindMaple software, but it evolves from a tutorial in webbing theory into a promotion of graphicacy awareness. Essentially, inventive approaches to note-taking can engender colorful and permanent connections. Visual maps can expose relationships, trace patterns, and foster relationships. The flip side to this gospel comes from Christine McLaren, at the BMW Guggenheim Lab, who asks, "Data Visualization: It's Pretty, But Is It Useful?" McLaren outlines how to avoid the eye-rolling at overly pretty graphics by focusing on the underlying data. She presents a point-counterpoint debate between nuanced, classic illustrations and simplistic, modern graphics. After all, underneath everything is information, and finding the visual discourse means finding the meaning. During a relaxing log-cabin getaway last month in Woodstock, New York, we stumbled across a series of curious signs peppered throughout the region. Our cousin Emily pointed out the signposts near the Village Green. At first, they looked like any other NY state historical markers. Upon reading them, though, we realized that instead of documenting an important event, the signs offered subtle commentary about political issues and cultural touchstones. They flawlessly mimicked actual markers and stood out as shrewd pieces of art. "These markers are just the kind of public art I really enjoy: gently assertive and non-confrontational, firmly thought-provoking and pretty to look at and just a little bit subversive." Magnusson's signs tell stories in just a few words about the folly of being politically dismissive. His works feature all of the hallmarks of satire: an unexpected message, an acerbic tone, and immaculate verisimilitude. We were most impressed by the amazing authenticity of the pieces. It's almost as though he used the same machine shop to render such medal-worthy metallurgy. These signposts have caught the eye of several other outlets (here, here, and here) as well. Satire can be one of the trickiest genres to teach in the humanities. Good satire requires a nuanced reading. It by definition necessitates a two-stage understanding. 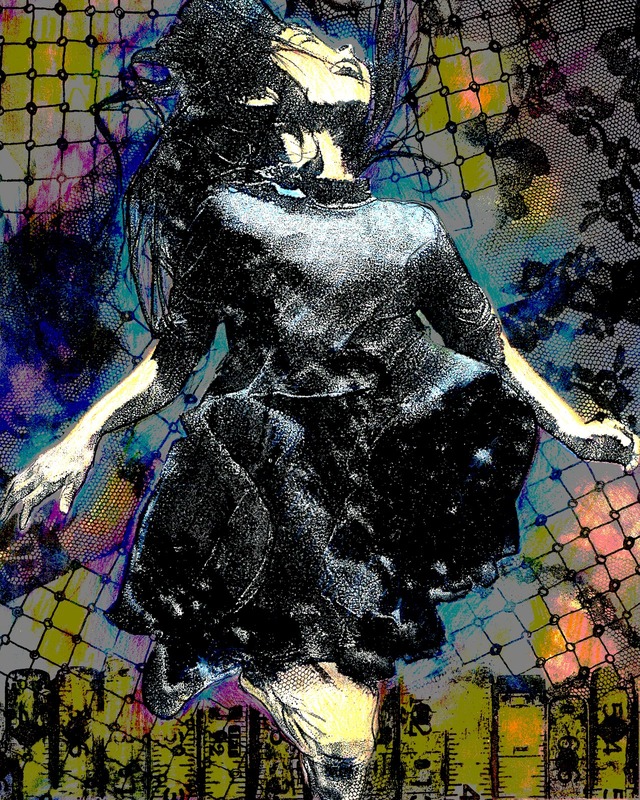 A student must comprehend the historical and/or literary background forming the foundation of the piece, and then he or she must accurately read the author’s opinion to discern reality from exaggeration. Jonathan Swift’s “A Modest Proposal” in 1729 set the bar for intellectual send-ups. But practitioners such as Aesop, Pope, Twain, Orwell, Pynchon, Trudeau, and Colbert have all offered wry hyperboles on government and humanity. Visual satire is an emerging niche and can be a useful inroad to introducing students to social lampooning. Political cartoons, comic strips, graffiti, and billboards all offer media for witty commentary. Both younger and older learners can be guided through a visual dissection of these displays. We like the 4 Steps To Understanding An Image as a helpful tool for parsing complex pictures. The best visual satire does not need panels or word bubbles, because it thrives in its potent messaging of creative design and its skewering partisanship. For modern epitomes of visual satire, we think of "South Park" or "New Yorker" covers. Parodies and caricatures are enjoyable spoofs, while racist illustrations and minstrel shows of the Civil War era are unsettling examples. Online YouTube takeoffs of music videos are increasingly popular in their lip-synched ridiculousness. 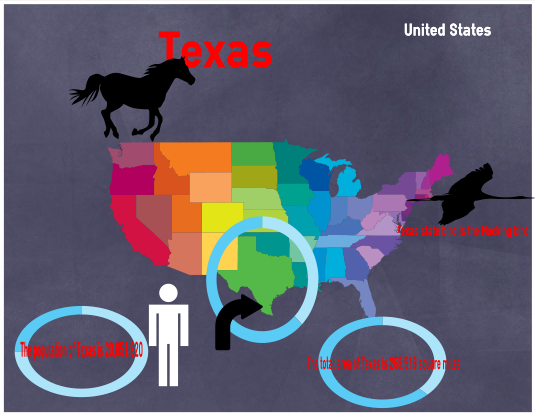 And many infographics are now gaining traction in their mockery of infographics themselves. By the way, if you find yourself in the Woodstock area in late July, we highly recommend the Ulster County Fair for its welcoming atmosphere, riveting pig races, and dusty horse pulls. Also, Mexicali Blue in New Paltz offers some of the tastiest burritos we’ve ever had. Our favorites were the chili lime chicken and the achiote pork with coconut aioli. Even as NBC has faced a barrage of Twitter wrath for its time-delayed airings and its occasional promo spoilers, the fourth-placed network has enjoyed record ratings for its broadcast of the London 2012 Olympics. As the games of the 30th Olympiad draw to a close, we admit it -- we’ve been glued to the coverage. Sometimes we've opted for web-streams or real-time results. Other times, we've hibernated and waited for the prime-time showings. Either way, the medal race has lived up to the hype, with the United States and China trading the top spot, and the home nation of Britain fighting with Russia for a surprising third-place finish. The medal ceremonies, in particular, have stirred patriotic passions. 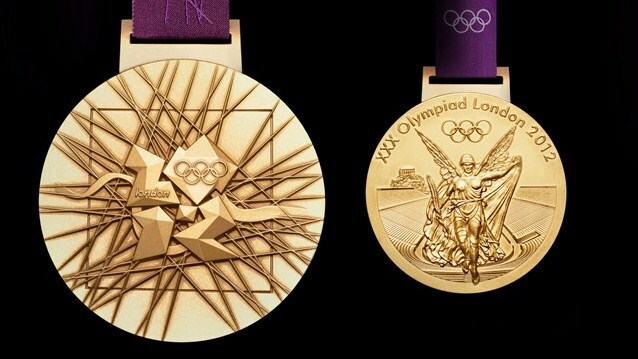 The London medals themselves seem noticeably larger than in past years. They stand out in heft and diameter on the athletes’ necks. We did a little digging, and we were intrigued to learn that the history of the Olympic medal can teach a lot about media literacy, financial literacy, and global cultures. The Bottom Line financial report has verified that in Olympic history, this year’s creations are indeed the heaviest emblems, weighing in at a hefty 400 grams (twice the load of the Beijing 2008 badge). But, in a post-recession economy, these “gold” medals are actually comprised of 92.5% silver and just 1.34% gold (only six grams of golden veneer). The rest is copper. That means, given today’s commodity markets, the silver in the first-place medal for the first time is worth more than the actual gold content. Of course, the true valuation of an Olympic medal cannot be accurately calculated. Legendary memorabilia often fetch many thousands of dollars on the auction block. The last pure-gold medal was Stockholm 1912 ($1,207). Classically, the first gold medal was bestowed in 1904 (following olive wreaths and then silver for first place). The award remained largely unchanged until 1972. Each year's design typically features common elements on the front face, such as Nike (the Greek goddess of victory), the Colosseum or (more accurately) the Panathenaiko, the famous rings, and the horse-drawn chariot. The rest has recently been up to the inspiration of each host city. Many modern incarnations have featured cultural flourishes or geo-specific engravings. Beijing 2008 even included a slice of jade inlay. The London medals were designed by David Watkins and for safe-keeping were vaulted (where else?) in the Tower of London next to the Crown Jewels. For a meticulous retrospective of each year's golden pattern, check out the collection at The Olympic Design. For other ideas about teaching with Olympic logos or mascots, check out our earlier post. The mantra in bare-knuckle politics is to define your opponent before he can define himself. 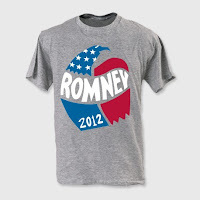 This branding touchstone has taken on a special significance in the simmering months of the 2012 presidential campaign. Of course, the opposite is crucial, too -- define yourself before your adversary cripples you with negative advertising. We spent this past winter and spring with our students exploring the nuances of candidate messaging. Our kids had a field day rating the various logos and slogans (here are their verdicts, and some of our posts). The newest logo juxtaposition centers on the Republican and Democratic National Conventions. These conventions can be decisive in delivering enduring speeches and rallying the faithful. In fact, then-Illinois State Senator Barack Obama became a national figure and heir-apparent in delivering the keynote address at John Kerry’s 2004 nomination. His poignant words immediately registered among the annals of oratory. Now, in 2012, the parties have crafted logos to epitomize their conventions and messages. The Republican National Convention takes place August 27-30, in Tampa Bay, Florida. Released before the end of the primary process, the GOP insignia admittedly was designed without a determined candidate. The Democrats, on the other hand, had the luxury of incumbency and predictability. In the Republican icon, the trumpeting elephant is a potent, active depiction of the mascot. The colors are vivid and clear, and the patriotic impulse is telegraphed. Ultimately, however, the logo is a twitchy puzzle somewhere between a postage stamp and poster. The heavy serif on the font, the cumbersome all-caps typeface, and the wide kerning between letters all yield a fuzzy, justified headline. The flag emblem is appropriate, but the downward slope leads the eye off the page, rather than looping back to a central focus. Worse still, the flag is obviously and instinctively wrong. It has too few stripes for the area depicted, and the unorthodox three stars in the blue field offer no clear significance. Finally, the convention planners seemed to feel that the host city deserved unusual prominence. “Tampa Bay” dominates the emblem, but the sideways contortion and the bold “Tampa” but thin “Bay” are disjointing to the eye. Florida is a crucial swing state, so the undue city prominence may be warranted, but the thick waves serve no purpose other than drawing focus and evoking strips of bacon. We would expect this seal rarely to see the light of day during prime time convention broadcasts. The Democratic National Convention picks up days later, from September 3-6, in Charlotte, North Carolina. The assembly's logo seeks to trigger an immediate visual connection with the overall Obama brand, mimicking the Carolina-blue oval and the patriotic rising-sun colors. 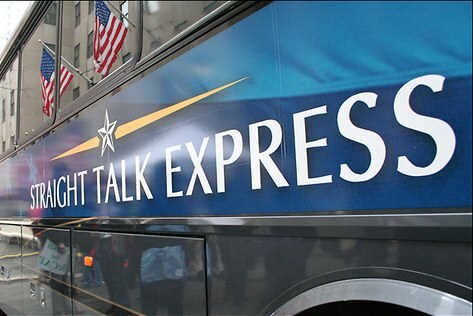 This kindred icon echoes everything about the Obama campaign’s buoyant messaging. 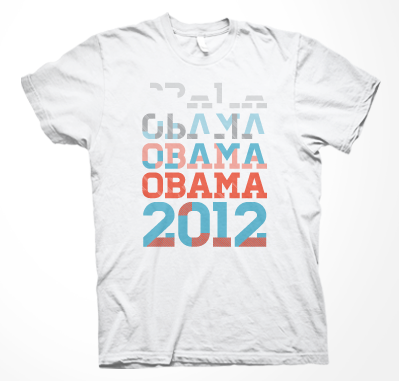 The subtle alterations embrace the crowd-sourcing, grassroots designs of the Democratic strategy. The red horizon of celebratory citizens, gathered together in a joyous hand-clasp, all summon the energy of a lively convention. In particular, the insignia places the motivation and impetus on the people themselves as the profiled drivers of continued change. The downside is that it rests all the attention on the single candidate, rather than the political party or its platform. It also pays little homage to the host city, which could backfire in a crucial state that Obama narrowly won four years ago. President Obama’s campaign has worked hard to brand Governor Mitt Romney as a country club candidate. His team has hammered away at Romney's pioneering outsourcing at Bain Capital and his millions of dollars in shadowy off-shore accounts. The goal in this messaging is to amp up the working-class base and to appeal to “undecideds” who fall outside of exclusive beaches and dressage stables. The end result will be a litmus test of negative/positive advertising and a call-to-arms for America's changing census population. 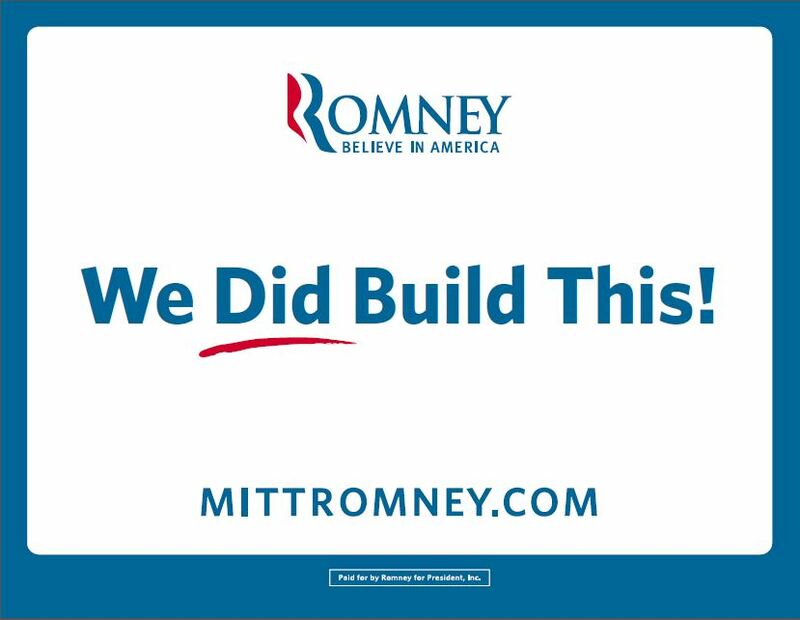 The Romney camp, for its part, is striving to brand Obama as "out of touch" and "anti-business." They’ve seized on stagnating economic indicators as leverage for vague but forceful podium points about failed stimuli and deadly regulations. 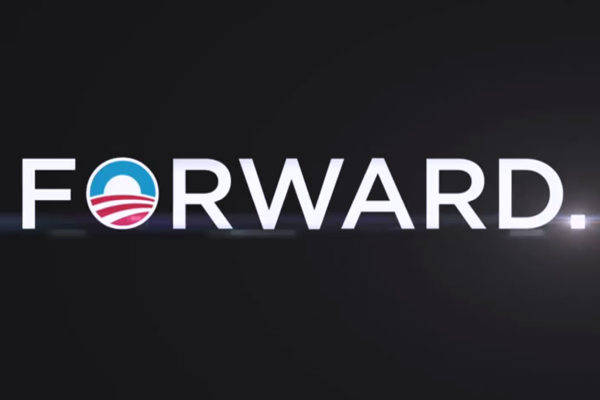 Recently, the marketers have clipped an Obama phrase that seemingly undercuts small business owners. 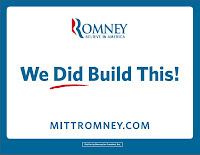 The “you didn’t build that” slogan quickly became the Romney attack-du-jour, and the Democratic hand-wringing suggests that the barrage is working. A recent article at The Weeklings elucidates key take-aways about the subconscious communication of visual messaging. The feature, for example, freshly points out that John McCain’s 2008 campaign chose Optima, the same font as the Vietnam Memorial. We’ve extolled before the clarion of Obama’s 2008 Gotham design choice. It’s significant, therefore, that during this 2012 reelection gambit, Obama's team requested an updated version of its iconic lettering from its favorite Hoeffler & Frere-Jones shop. This time, his banner features a squared serif, in equal weighting between President and Vice-President. The Weeklings article also points out that Romney’s squad, not accidentally, plucked Mercury and Whitney typefaces created by the exact same Hoeffler & Frere-Jones design firm. If you are unfamiliar with their work, here is a terrific PBS Off Book video highlighting the insights of H&F-J. The campaign gift shops also deserve artistic focus as reinforcers of brands. The Obama team organized a "Runway To Win" t-shirt design contest on its official web site. The three winners now can see their creations for sale online. This popular appeal and non-hierarchical marketing parallels the overall strategy of the Democratic outreach. 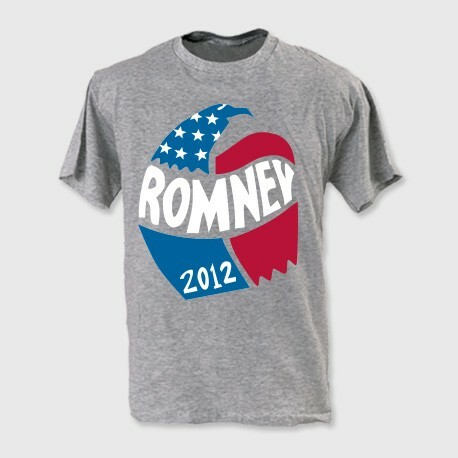 The Romney site also offers t-shirts with twists on the standard insignia. The governor's team has fashioned a special line of "vintage" shirts in an attempt to bridge the older Republican demographic with the retro-loving younger voters.